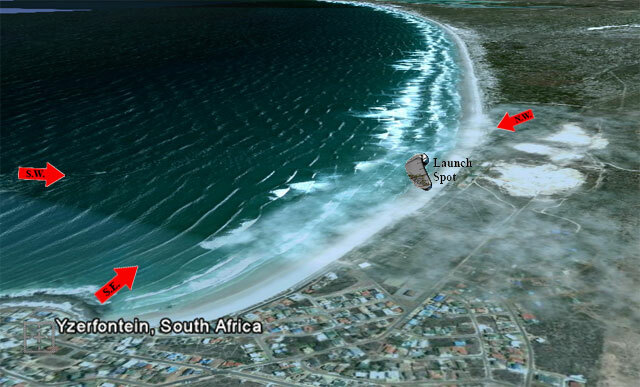 Yzerfontein is a Kitesurf Spot 1 km north of Yzerfontein near a Cove called Smoedbaai, 40 km north-west of Cape Town. On a SE this spot is very gusty. If you make your way further down the beach, the wind conidtions become cleaner. For wave riding this spot works on a perfectly on a NW and SW and produces some amazing swells. There are ablutions available at the take-away shop near the car park. Try to stay clear of the bay area, as there are bathers all over the place with no life guards on duty here.